This glorious new show celebrates the iconic work of the many composers and artists who have made Broadway an American art form. 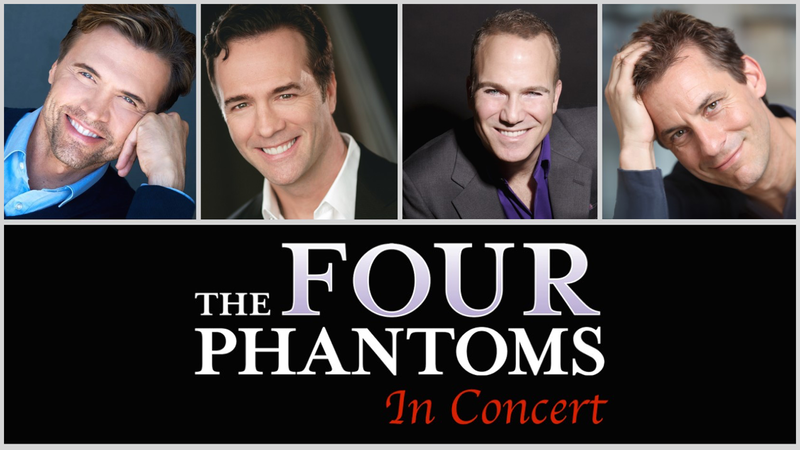 Broadway leading men Brent Barrett, Ciaran Sheehan, Franc D’Ambrosio, and Marcus Lovett have received accolades worldwide for their stirring performances as the Phantom in Andrew Lloyd Webber’s Broadway phenomenonThe Phantom of the Opera. Under the musical supervision of Grammy Award-winning producer David Caddick and musical direction by Ryan Shirar, these iconic artists are sure to hold audiences spellbound as they revisit the passion of the masked man and honor the musical legacy of Broadway.